It’s fun to enjoy a glass of bubbly on New Year’s Eve, heck any time really. Check out 3 way to spice up your sparkly on the blog today and enjoy a Happy New Year’s celebration,. Back to school is time to get back to a routine and as I mentioned in my previous post I am very excited for that. But even with the most planning and prep it is still challenging to do all the things in the morning before school starts. I've always envisioned myself being a calm, cool, and collected mom but when it comes to getting the girls out the door, a whole new side of me comes out, the less patient, less kind, less happy side of me. In an effort to make our mornings calmer, I am preparing breakfast ahead of time. Today I’m sharing 2 easy egg recipes that you can make ahead of time and have breakfast ready all week. It’s corn season so you might have a few pounds of corn from the market. Now what should you do with it? Of course you can simply grill it and eat as is but there are so many tasty recipes for you to try after you grilled it. Check out my tips for cooking corn and a few recipes to make with it. It all started with a cowboy hat to celebrate the Rodeo coming to town… As a parent we learn lessons from our kiddos all the time. This past week my daughter’s simple actions reminded how kids inherently have no inhibitions and how we can gain so much wisdom from their innocence. Because the Rodeo came to town, and even though we missed it, we are celebrating in our kitchen with Cowboy Loaded Sweet Potato Fries. Check out the recipe, video from ABC30, and a little story. Thanksgiving is next week. This kiddos will be off of school with a little extra time on their hands so why not get them involved in the kitchen? This recipe is perfect for little and big kids to help with and it is a crowd pleaser. I love pumpkin pie so you may wonder why change a classic but I promise these make a great little addition to the dessert table. Give them a try, you will not be disappointed. Get in touch with your inner Chef and learn fast, healthy recipes to fit your lifestyle. Chef Shayna wants to help you connect with other Chef's and share recipes all in one place! Shayna Telesmanic is the owner and director of Fresno’s Young Chefs Academy, where she has been teaching children and families how to cook through weekly classes, workshops, field trips and community events since 2010. In that time, she has established herself as “Chef Shayna”, a cooking authority in California’s Central Valley with a weekly segment on Fresno’s ABC 30 and appearances on NBC KSEE 24 and KMPH FOX 26. She strongly believes in getting kids involved in the kitchen, building their excitement around meals and encouraging them to try and enjoy new foods. In more recent years, she has expanded classes to include adult cooking parties and meal preparation. 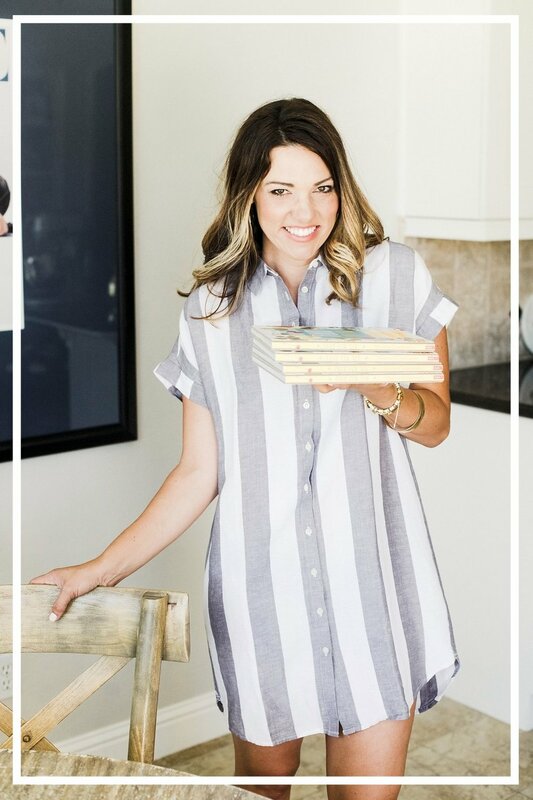 Shayna aims to simplify cooking for families and take the fear and mystery out of the kitchen.